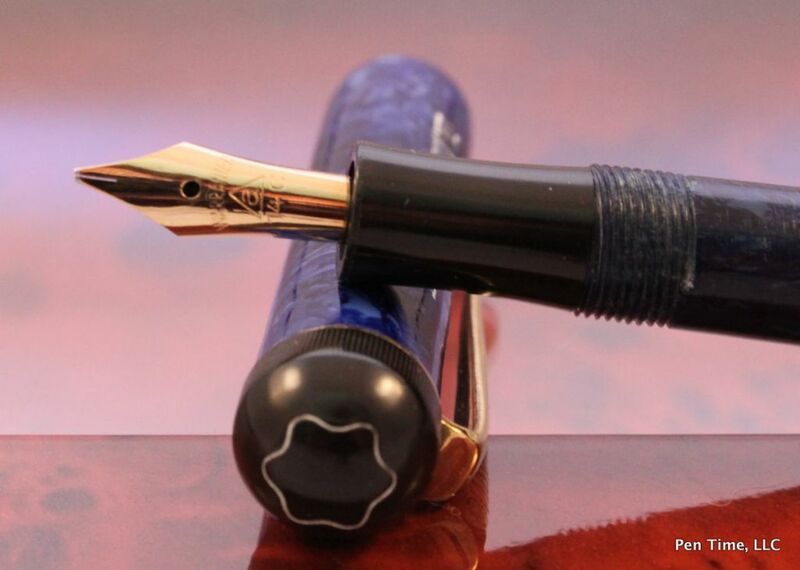 Up for sale is Vintage Montblanc III A, blue in blue Fountain Pen. It has a Medium very flexy nib. The point also looks like its a slight Oblique point. The nib is correct and matches the blind cap. 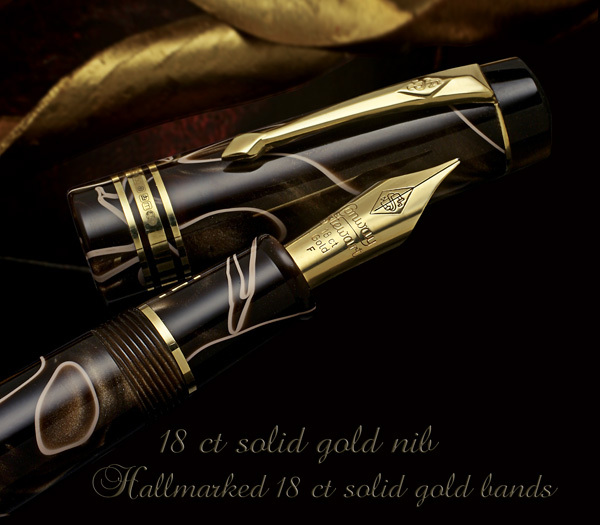 The nib is a Warranted nib, which is correct for tier 3 Montblanc pens of the time. 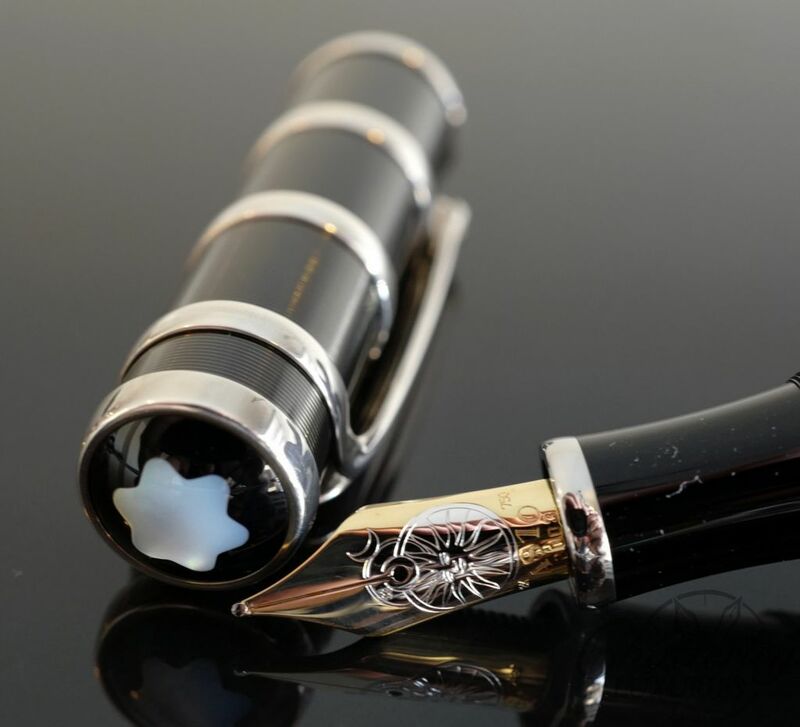 This pen has a Button Filler system is fully working and has been restored by a well known Montblanc expert. This pen is in excellent condition. The blue is amazing and the celluloid looks great. The cap is slighter different shade of blue than the body, this is quite common with these pens. The Engravings on the cap and blind cap are crisp and still bright white. There is some normal wear on the celluloid, but nothing that sticks out. The clip has no oxidation and looks very nice. The blue Montblanc pens in general are quite rare and to have one thats in this condition is not common. The pen has no cracks, dents on it, neither has it had any repaired at any time. All the parts are original.